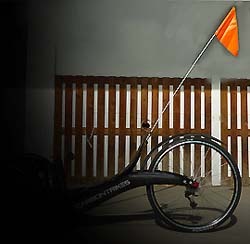 CARBONTRIKES produces not only the world's lightest, fastest and smartest trike. 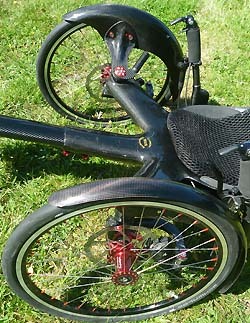 We also produce matching accessories that meet the same high standard and will extend the utilization for your trike. We are the only manifacturer in the world producing trike parts with autoclave technology - the most advanced composite production technology that exists! Many special parts we manufacture ourselves, but also the parts we don’t manufacture, are carefully selected and tested by us to fit your trike. 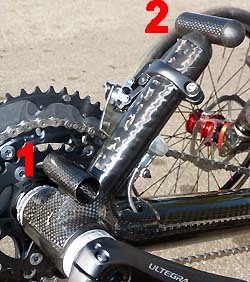 We adapt and install your accessories when we build the trike for you, this way we can ensure everything works perfect. 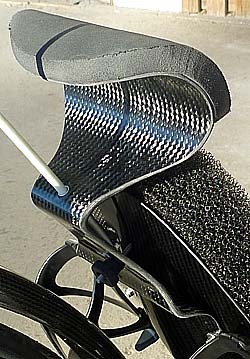 Fully adjustable neckrest made in carbon fiber. With a design and a fiber layup that makes the the neckrest both lightweight and flexible. Integrated handle for easier move the trike arround. Integrated mount for a Safety Flag. The lightest adjustable neck rest in the world! Utilizes the carbon fiber properties to the maximum by using high modulus unidirectional and noncrimp carbon fiber with an optimized lay-up. Baked in autoclave for lowest possible weight, highest strength and flexability. 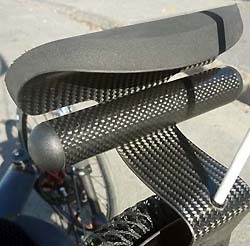 Comfortable 50 mm thick seat pad designed specific for CARBONTRIKES adjustable seat - for a perfect fit. Made of a foam material with large open cells that are naturally ventilated. 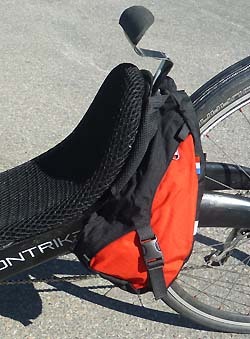 The seat pad allow easy access into the space inside the frame by lifting the hatch. Small: Riders length: 155 - 175 cm / 5'1" - 5'9"
Large: Riders length: 175 - 195 cm / 5'9" - 6'5"
30 mm thick seat pad with very good ventilation and durability - perfect for hot climates and long rides. 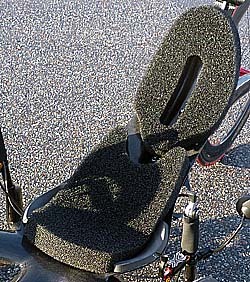 Ventisit in Holland is world famous for their recumbent seat pads. 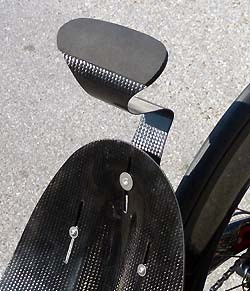 They have made this seat pad specially for CARBONTRIKES, not only the size, shape and place of the Velcros, but also with more stretchability to fit CARBONTRIKES unique adjustable seat, to allow some adjustments of the seat length. The seat pad allows easy access to the space in the frame by lifting the hatch. 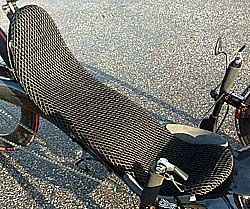 Adjustable for riders length approx: 175 - 185 cm / 5'9" - 6'1"
Sporty, good looking, lightweight fender in carbon fiber that fits the trike not only when it´s wet but also when it is drier, protecting you from road dust. 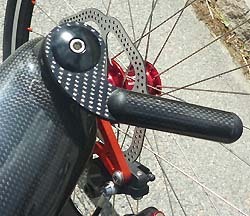 Special design that connects to the frame increased stiffnes without any need for stays. Optimized carbon fiber layup with UD and noncrimp to get the fender rattle proof, covered by a layer of protective beautiful twill weave. Baked in autoclave to perfection! This is the most advanced trike rear fender that exist! 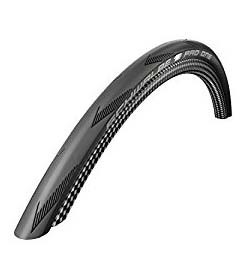 Unique adjustable, full carbon fenders, durable and robust, with optimized carbon fiber lay-up to be rattle proof, even when riding at highest speed. 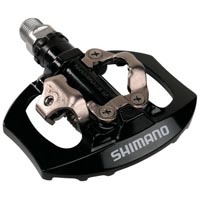 With one-screw installation in the headset is it fast and easy to mount or demount the fenders. Baked in autoclave with duo-mold-system, a production technique that is unique for CARBONTRIKES, ensuring all surfaces are smooth. 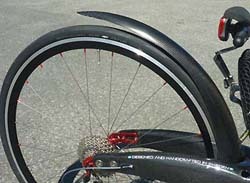 These elegant and practical fenders give you full protection in all road conditions. By far the best trike front fenders that exist! 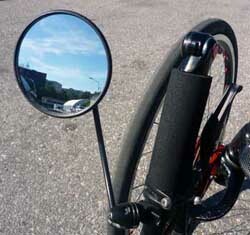 Using a rear-view mirror is essential for the safety when riding with the trike in traffic. We install the best avalable bike mirrors; from Busch & Müller. The mirror is mounted on the handlebar and is easy to reach and adjust..
Classic orange Safety Flag that increases the visibility when riding in traffic. With a 6 mm fiberglass rod that fits in the neckrest flag mount - the best possible to place for the safety flag! The flag is mounted or dismounted in seconds and can be taken apart. The bottom end of the flag pole is modified to prevent the flag pole from twisting if you use our Flag Pole Lights (Art no. P6M3S1Y17). Short: Flag pole length: 130 cm / 4'3"
Long: Flag pole length: 180 cm / 6"
Super strong headlight with a focused light beam combined with the effective low position on the boom lights up even the darkest road. Super bright LED head light, more than 1000 lumen - equal to 50 W halogene lamp! Runs on a rechargeable battery-pack inside the frame. Neat installation with everything but the lamp hidden inside the frame. The battery is easily accessible. Robust CNC machined aluminum body with integrated heat dissipation. This is the head light four you, if you really want to light up the road while triking! Note: The specific design of the head light may vary from the photo and from time to time as the area of high power LED sources is developing fast. 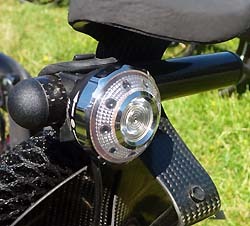 But the function vill still be the same - a super strong head light installed on the best place on the trike, with a neat installation with hidden cables and battery, and still easy to reach battery for charging. Super bright LED tail light that use the same battery inside the frame as the head light. With high focused light beam, strong enough to be seen even during sunny days. Installed with hidden cables inside the frame. 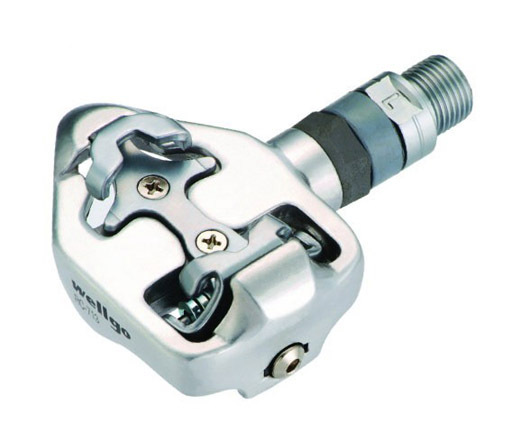 Robust CNC-machined aluminum body with integrated heat dissipation. A tip is to use this super strong tail light not only when it´s dark but also during the day. You will get the attention from the traffic behind earlier due to the strong focused light and it will be a safer ride. And as you´re not using the strong head light, the battery in the frame will run very long. 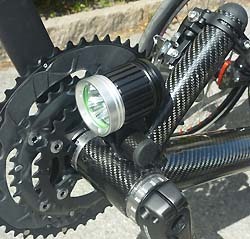 Use the same battery inside the frame as the Strong Head Light (Part no. P6M1S1Y17). Installed with a split cabel makes it possible to use the lights simultaneously or separatelly. 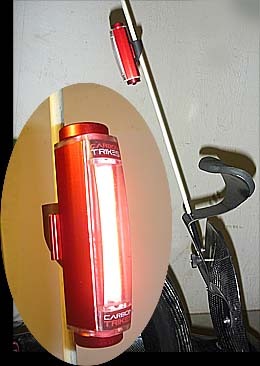 Smart and practical light solution, developed by CARBONTRIKES, with the lights mounted on the Safety Flag Pole letting you having the lights much highet for maximum visability. Slim, aerodynamic lights in aluminum with high efficient micro-LED-strip (COB) and very wide beam angle, perfect for the flexible position on the flag pole. Integrated USB chargable battery. Special made mount in carbon fiber keeps the lamps on the flag pole without any risk for twisting, even when riding hard with the trike. Doesn´t need any lamp mount, just a secury flag, or even a shorter 6 mm rod in the flag position. Red light (pointing backwards) and white light (pointing ahead) can be used separately or tightly fitted together. Note: The Flag Pole Lights are intended to get attention in traffic. The position and wide light beam makes the Flag Pole Lights exposed in traffic. But they will not light up the road! If you need a head light that light up the road choose Head Light Strong (Art No. P6M1S1Y17). If you want to use the tail light during the day in sunlight to get the attention from behind choose Tail Light Strong (Art No. P6M2S1Y17) that has a really strong fokused light beam. You can combine the Flag Pole Lights with our Strong light, or other traditional bike lamps in order to both light up the road and make sure that you really get the attention in traffic when it´s dark. Trelock foldable. 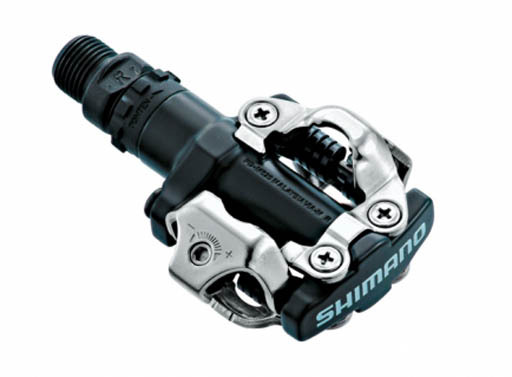 German made lock that folds into a small package that fits perfect inside the frame or on the backside of the seat. 85cm - long enough to lock the trike against fixed objects. High security compared to the weight. Chose between standard key version and number lock. Placed inside the frame or mounted on the seat. 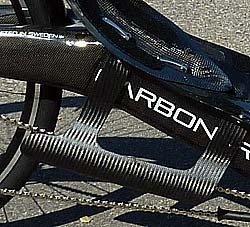 Super light full Carbon Bottle Cages. Very good grip on the bottle in combination with the design makes this bottle cage perfect for the mounting position on the trike, under the seat. Up to four bottle cages can be mounted on the trike at the same time. 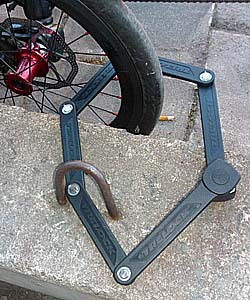 Installed on the trike with titanium screws for lowest possible weight. If Top Bag (Art No. P12M1S1Y17) or Banana Bag (Art No. P12M2S1Y17) is used only 2 or 0 bottle cages can be used. 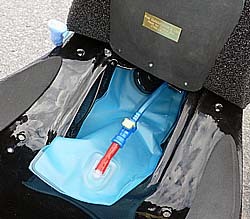 2 litre specially modified hydration reservoir (bladder) that fits inside the trike frame with the drink tube on the outside, easy to reach when you ride the trike. The most aerodynamic solution for racing rides. Magnetic fittings keep the tube in place. Smart rubber fill-up adapter makes it possible to fill from the outside from a standard water bottle or water tap. Watertight quick release system for the tube. With a surface technology that makes the water reservoir self cleaning and taste free. Include a protection bag in nylon textile, with access to the bladder through a zipper. Triple layer taste and odor free PE film with anti microbial agent. Water bladder system made by Source in Israel, the most advanced bladder based hydration system on the market. Short: Tube length: 38mm / 1,5"
Long: Tube length: 52mm / 2"
Assymetric: Tube length: 52mm / 2,25", Right side: 19mm / 1,5", Left side: 38mm / 1,5"
Short: Tube length: 44 mm / 1,75"
Long: Tube length: 63 mm / 2,5"
Radical Design in Holland is the most famous company in the world for making special bags for recumbents. We have chosen two of their bags that fit behind the seat on all CARBONTRIKES Race models. This is the perfect solution if you want to use CARBONTRIKES for longer trips or even fast touring. 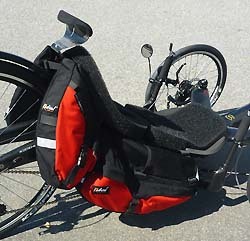 A pair of Radical Design Solo Racer recumbent top bags, 10 Liters. Perfect choice for day tours, longer rides or cummuting, when the space in the frame is not enought. A pair of Radical Design Banana Racer, 25 Liters. If you want to travel longer and bring more on your trike this are the bags for you! They can be used alone or together with the top bags increasing the storage space further. 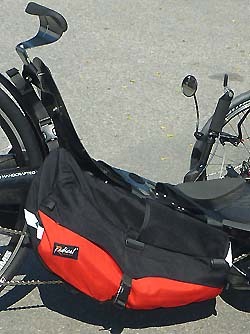 By using these bags you can transform the world’s lightest and fastest trike to a fast touring machine! 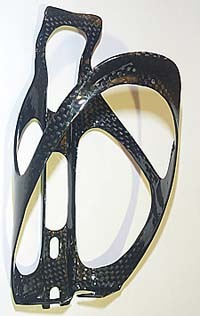 Bracket made in carbon fiber. Specially made to be used with banana bags. Prevents the right banana bag from interfering with the chain. Lightweight autoclave baked construction. The best tires on the market for fast triking! Tubes: Schwalbe - 2pcs 406mm + 1pcs 622mm. $ (USD) price only applies to USA and other non-EU countries. Product prices and configuration are subject to change without prior notice.